A few weeks ago I explained how and why the Amish opted out of the Social Security program. That was a unique case because the Amish live in a relatively close-knit community where members merely take care of each other. So today I want to talk about another group of people who opted out of Social Security because I think it speaks to the heart of all the different feedback I typically receive about our national retirement system. 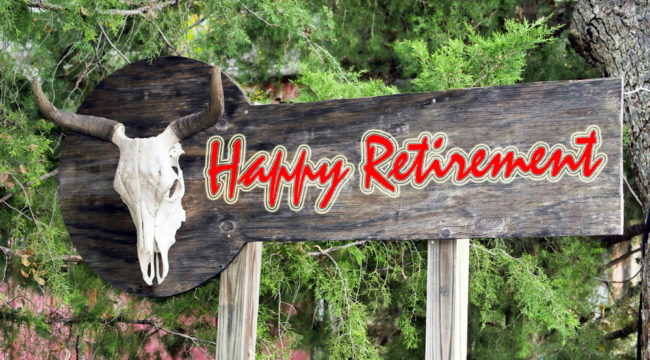 See, back in the early 1980s, the employees of three counties in Texas — first and most famously, Galveston, but also Brazoria and Matagorda – decided to forgo Social Security and create their own retirement system. How they opted out is not nearly as interesting or controversial as the story of the Amish … they simply used an exemption that existed until 1983 and allowed municipal governments to form their own alternate retirement plans. In Galveston, the idea was put to a vote and won with 78 percent in favor of the decision. At the same time, I believe this story demonstrates how smaller governmental plans — run with reasonable expectations and particpants’ best interests in mind — can actually deliver what they promise in a sustainable way. In simple terms, U.S. workers pay a certain percentage of their earnings into the system … with a cap on the amount of their pay that is taxed … and with both of these variables having risen sharply throughout the program’s history. Then, upon retirement age, contributors begin collecting benefits based on their contribution history, with maximum benefits also subject to specific payout limits. Like Social Security, participation in Galveston’s plan is mandatory for county workers and they contribute about the same amount of their earnings. Galveston County contributes a slightly larger amount to each participant’s account, and that amount has risen a bit over time. Like Social Security, Galveston’s plan offers both survivor and disability benefits, too. To qualify for Social Security, workers must accumulate enough credits, which takes about 10 years in the workforce. In contrast, Galveston County’s employees who work at least 20 hours a week are covered immediately (other employees are covered by Social Security). With Social Security, workers get up to 100 percent of their benefits, less reductions for early retirement. The payments are good for life … are adjusted annually for inflation (as measured by the government’s Consumer Price Index) … may be reduced if the retiree is still working … and the retiree’s spouse can receive up to 50 percent of the worker’s benefit. Galveston offers its employees a number of choices for receiving benefits — including a lump sum distribution, as well as annuities ranging from five years of payments to distributions for life (with a minimum number of payments guaranteed). There is no “retirement age” with Galveston’s plan — workers can begin collecting their benefits upon retirement or termination. Their benefits are not reduced if they continue working after they leave their county job. And notably, Galveston’s plan doesn’t offer inflation adjustments … nor does it provide additional benefits to spouses or divorced spouses. Spouses may only receive benefits once the worker leaves his county position … and divorced spouses may only receive benefits if they’ve been designated as beneficiaries or by court decree. Both Social Security and Galveston’s plan are invested relatively conservatively — with Galveston mainly opting for guaranteed investment contracts from insurance companies. The Galveston plan does allow for bond investments as well as stocks, but all indications are that it has never chosen to invest in riskier assets. Overall, the two plans have earned similar rates of returns over long periods of time. When it comes to disability benefits, Galveston’s plan offers coverage to workers immediately but does not provide additional benefits for dependents. Galveston’s disability benefits are not based on a progressive formula, either — which essentially means they are proportional to what the person actually contributed. This is equally true of the plan’s survivor benefits. Speaking of survivor benefits, Galveston employees get to designate their beneficiaries … while Social Security has “default” settings that cover spouses, many divorced spouses, and all qualified dependents up to a family maximum. In other words, a Galveston employee knows that some beneficiary is getting a benefit … Social Security only guarantees benefits to certain household members, and tends to reward larger households with greater numbers of young dependents. Whenever the issue of Galveston’s plan comes up, the Social Security Administration is quick to point out that workers can run out of money under this rival plan. And that’s true — IF they opt to take something other than the lifetime annuity option. Meanwhile, Galveston’s plan lets workers decide how they want their money. Most importantly, it virtually guarantees that the money will be there because unlike Social Security it is fully funded in advance! No, the plan doesn’t promise ADDITIONAL benefits to spouses or dependents — just the amounts that workers contributed and to the beneficiaries they designated. Nor does it skew benefits in favor of folks who contributed less… who are married… or who have larger-than-average families. And politicians haven’t been raiding the funds to pay other bills, either. That’s because contributions are forwarded to third-party administrators on a monthly basis. So what do you think? Would you rather Social Security, Galveston’s “Alternate Plan,” or something else entirely?